The Second World War really wasn’t that long ago. Not in the lifetime of a company anyway. It was a brutally savage conflict but it produced some major technological advances so no wonder some of the firms on our list used to build things for the German war effort. Back in 2011 BMW were forced to confess their Nazi past. These guys used to make the engines that powered fighter planes over the skies of Europe. During the 12-year period of the Third Reich the family in control of the German car maker, the Quandts, were heavily involved in Nazi party politics and the Quandt family factories which supplied arms to the German war effort used concentration camp inmates as slave labourers during the conflict. During the war Kodak’s German arm used slave labourers from the concentration camps too. Lots of the firm’s other European branches did business with the Nazis as well. You probably won’t believe this for a second or two but Hugo Boss made Nazi uniforms during the war. This was the major catalyst for the firm’s growth as the Nazi contract came just 8 years after Hugo Boss started the firm that is now known for fashionable rather than functional clothing. The German car maker has become controversial in recent times due to the emissions scandal but the brand’s history is probably more scandalous. 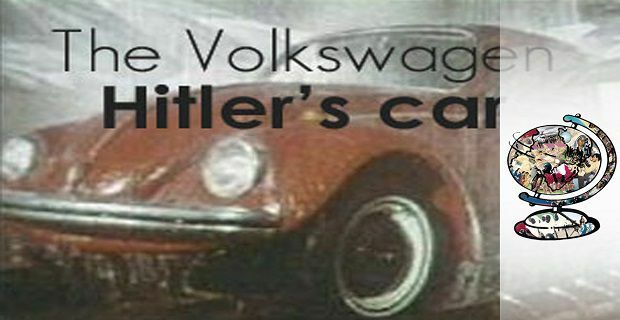 Ferdinand Porsche was the man behind the firm and the one who met with Hitler in 1934 to discuss the creation of a “people’s car” which is what Volkswagen means in German. Siemens used slave labourers from the concentration camps to construct the gas chambers that would ultimately take their lives and the lives of their families.